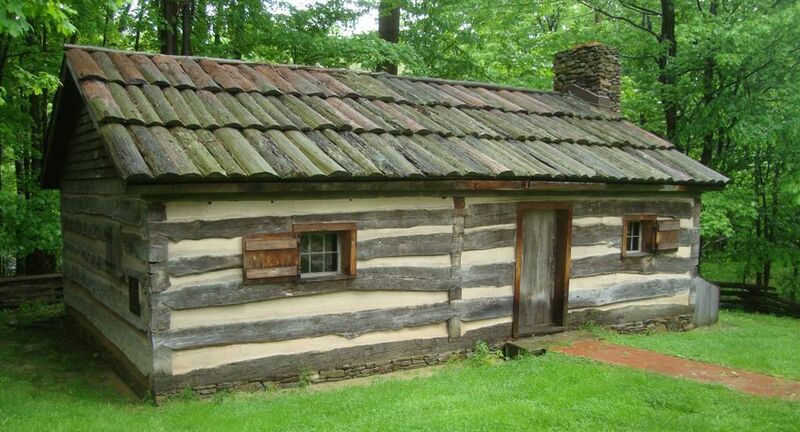 The Moreland Hills Historical Society invites you to visit the James A. Garfield Birth Site Park and replica 1830’s cabin. SEASONAL HOURS: Our docents will guide you each Saturday 10:00 am to 1:00 pm (June through September). To arrange a special visit email us. Follow the handicap accessible Brick Path a short distance to the replica 1830’s cabin. Behind the cabin is the 1/4 mile Birth Site Trail which is not handicap accessible. The trail leads to the marked location where the original Abram Garfield (James A. Garfield’s father’s) cabin once stood and where James A. Garfield was born. We encourage you to also visit the James A. Garfield National Historic Site known as Lawnfield located about 35 miles north in Mentor, Lake County, Ohio. Also be sure add Lakeview Cemetery to your itinerary as well. Lakeview is located about 20 minutes from the James A. Garfield Birth Site Park and is the final resting place for this 20th President.